Dairy cattle are bred for their ability to produce large quantities of quality milk, from which dairy products are made. The Dairy section is a key component in the FBD National Livestock Show. There are four breeds catered for within the Dairy Cattle section; Pure Friesian , Jersey, Dairy Shorthorn, and the Holstein Friesian breeds. The highlights in the Dairy Section this year features 4 championships in the Jersey, Shorthorn and Holstein Friesian breeds. Young people will have the opportunity of competing in 6 showmanship classes, which should cater for all ages and interests. The overall prize fund in dairy exceeds €21,000, with the National Holstein heifer in milk and the National Senior Cow in milk each having a prize fund of €2,500, together with rosettes and medallions. The gold medals are awarded to the Champions of each breed and are presented during the Parade of Champions at the end of the day. Exhibitors are sure to find something to catch their attraction with these beautiful breeds on exhibition. 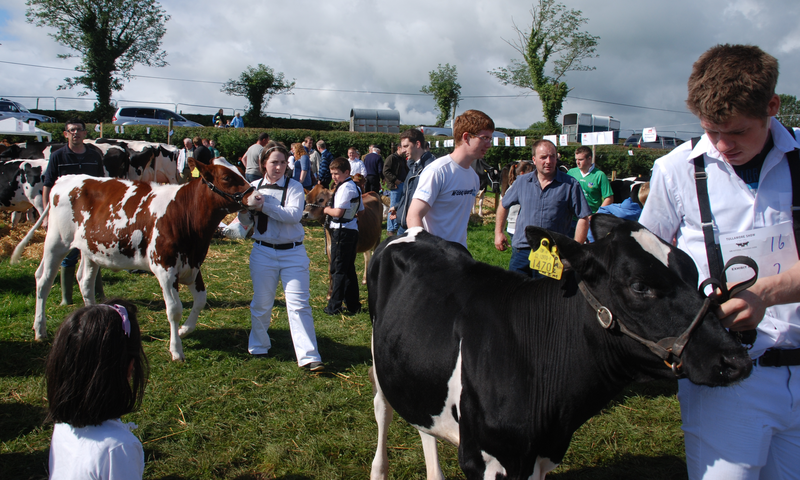 Some of these classes have a big prize fund of almost €2,500 for the winning animals, such as the Senior Holstein Cow in Milk. Don’t forget a Certificate of Registration is required from all Exhibitors for all Pedigree and Dairy Cattle - please remember to bring it along on show day. To help local breeders we have a confined section where the confined classes are confined to Laois, Offaly and Westmeath breeders. International Judges will be involved in the judging of animals presented.